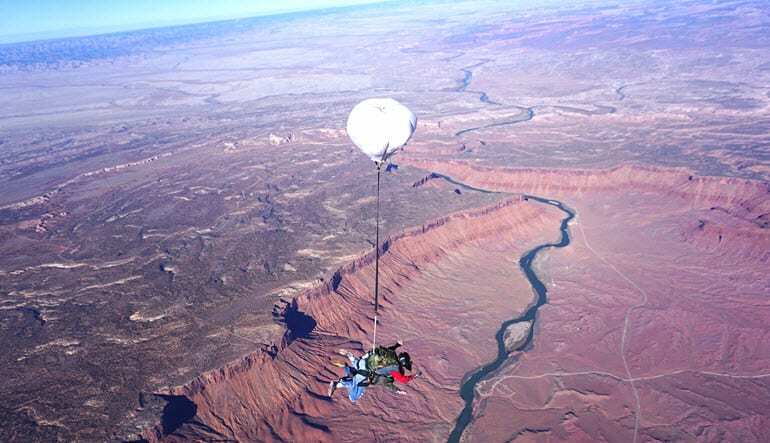 Leap from 14,000ft in Moab – the heart of the red rock canyon country of southeastern Utah. 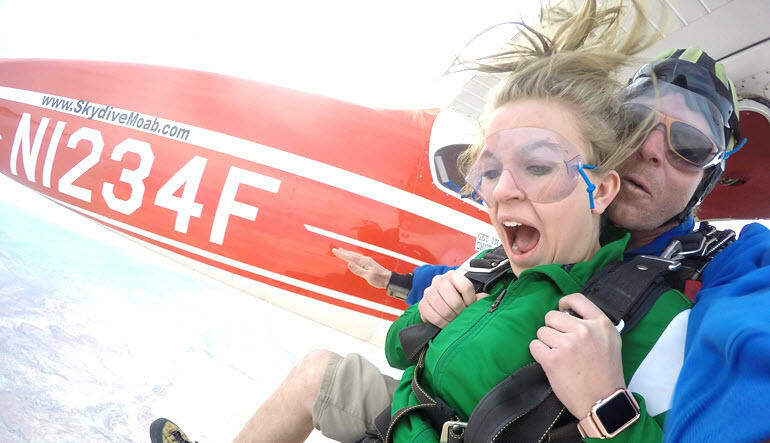 Experience a tandem jump with top-of-the-line equipment and a beautiful Cessna 182 to fly you to altitude. 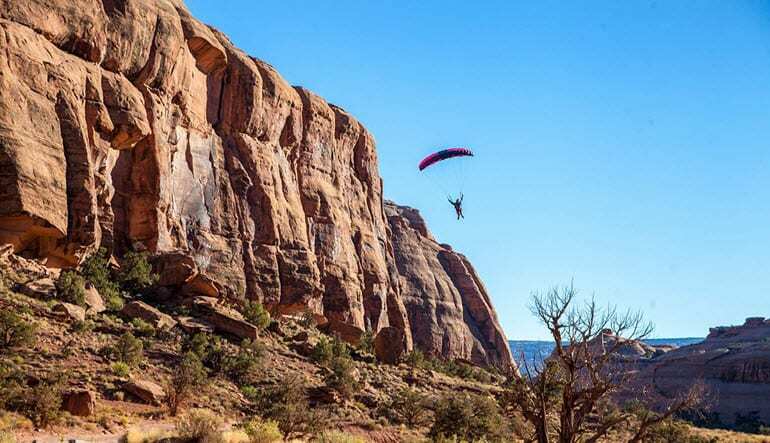 Ascending into the sky, you’ll be able to see Arches and Canyonlands National Parks, Dead Horse State Park, the Mighty Colorado River and 3 mountain ranges. 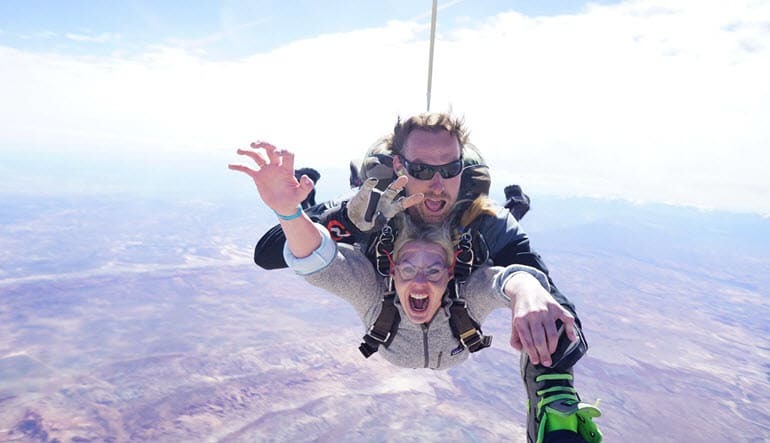 After the aircraft lifts you to 14,000ft, you’ll take the leap with your tandem master. 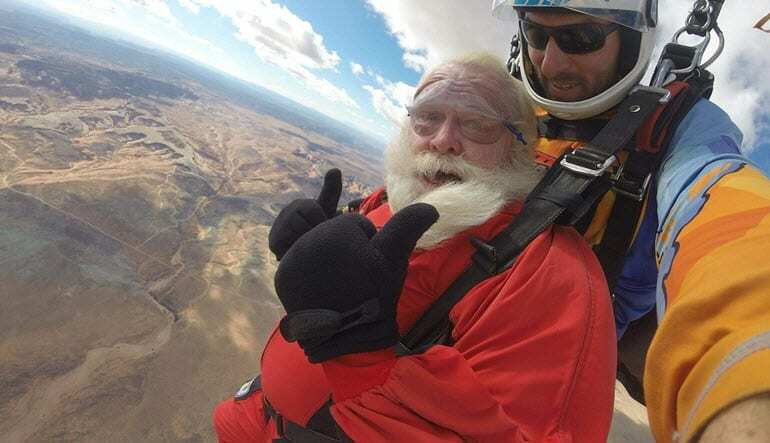 As you exit the plane, you’ll freefall for over 30 seconds and reach terminal velocity – that’s 120mph! Once the chute is opened, the canopy ride lasts 5-9 minutes. 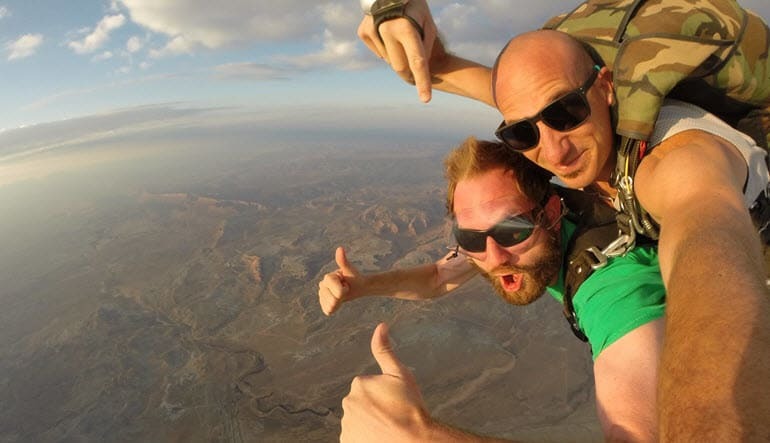 So, take a tandem skydive in Moab and see unique aerial views that are not to be missed and experience the sensation of a lifetime. Adam was the best wonderful man. Friend for life. He made my experience a life changing event. I love that Guy. Great staff and breathtaking experience! Team Adrenaline was great. Thank you Ryan for taking such good care of me, best adventure yet. I'll be back for round two. Staff was very upbeat and made it very fun. Ian was a great jump master. If you are over 200lbs there is a $2 surcharge for each pound over 200lbs.